Flyers or Leaflets are a nice addition to your marketing materials for informing your targeted audience on news, promotions or sales running. Print Logistics manufactures the highest of quality flyers within the industry. Flyers, Pamphlets or Leaflets are the most commonly used terms to best describe these forms of powerful paper advertisements. Flyers have the versatility of easy wide distribution and only crowns them still to this date the best form of message delivery. Flyers are more commonly hand-in-hand with sales and promotions. They can be letterbox dropped, mailed or simply handed out. The possibilities are endless with the right finish and design. A powerful design speaks wonders for your brands direct messaging. 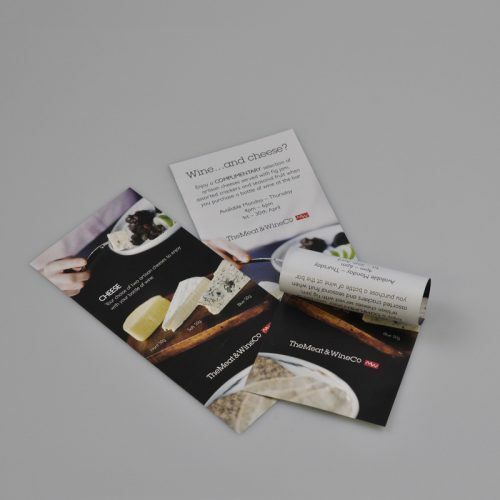 Available in numerous sizes and formats, Flyers, Pamphlets or Leaflets can either be printed single or double-sided on a gloss or matte finish.